Please note that registrants get a 50% discount to our 52 OSCE Communication Scenarios 1-year subscription (Coupon Code is 52OSCE). 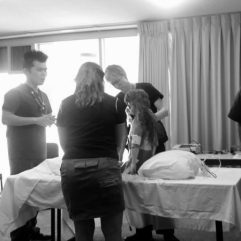 The CHUSE Communication Course for the OSCE (Communication in Healthcare using Simulated Encounters) is a hands on communication course specifically for fellowship candidates sitting the ACEM OSCE exam. 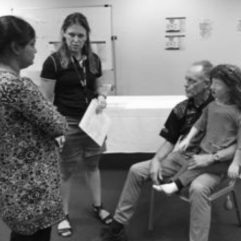 Many of the major communication encounters are covered in a morning of up to 16 different communication stations and participants have the opportunity to practice and then be debriefed on their performance in small groups of 4-6. Guidance is given on a structured approach to these stations and invaluable tips are provided on how to phrase some of the more difficult conversations in clinical encounters. In the afternoon workshops and simulation sessions the participants explore a range of extra communication skills to ensure that by the end of the day the full range of possible communication encounters that may appear in the exam has been touched on. 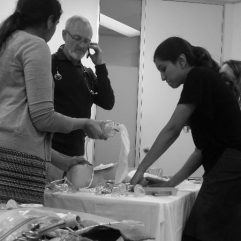 The CHUSE Communication for the OSCE Exam course practice sessions use a mixture of simulated patients and simulations using mannequins as is appropriate to the type of encounter. Faculty are a mix of FACEMs, DEMTs and simulation experts who are skilled in facilitation, debrief and acting to allow true representation of the exam type communication station. 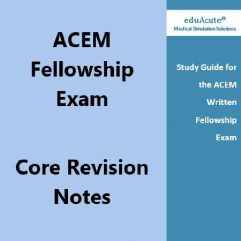 Some faculty have been observers and confederates in the ACEM OSCE exam but none are examiners so no conflict of interest. 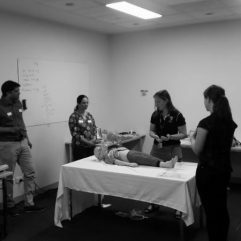 Many of the scenarios in this course have subsequently appeared in modified form in the OSCE exam over the last few years so a great way to prepare yourself for the stations that are likely to come up in your sitting. Numbers are capped and the courses are usually fully booked out well ahead so be quick to secure your spot. Our new OSCE Simulation Exam Stations publication is a must have when preparing for your exam and is also very valuable as a day-to-day simulation guide resource. Check out the details here and download a copy of the Table of Contents for free. Also check out the eduAcute OSCE Exam Course which has helped exam candidates for several years now to prepare for the OSCE exam and make sure you order our 52 OSCE Communication Scenarios publication as well as our OSCE Simulation Exam Stations (Second Edition) which has over 12 very detailed simulation scenarios including answer structures and tips for the OSCE Clinical Exam. DISCOUNT CODE – Those who register for the CHUSE Communication Course are eligible for a 50% discount of the 52 OSCE Communication Scenarios publication. 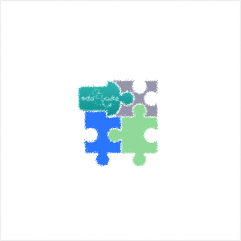 The coupon code is 52OSCE.